The respiratory syncytial virus, more easily known as RSV, is a very common virus that infects and sickens people, usually the very young and, as is increasingly recognized, also the elderly. Most infected people will not be able to distinguish RSV infection from the common cold, but in some cases, especially among premature infants, RSV infection and the resulting disease can be devastating, and even fatal. It is certainly an infection worth preventing, and fortunately, while a vaccine is pending, there are important steps you can take to protect the health of your family, especially the health of your baby. RSV is incredibly common and is, in fact, the number one cause of lower respiratory tract infections among children in the United States. Most everyone will have been infected with RSV by the age of two years and for most children it causes a cold-like illness that passes on its own in about a week, although infected children can continue to spread the infection for up to three weeks. 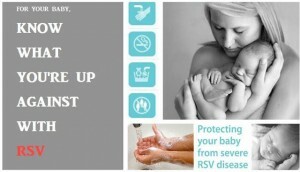 Increasingly, RSV is recognized as a significant disease among the elderly. Perhaps shockingly, RSV causes the hospitalization of almost 200,000 people over the age of 65 each year, and of those unfortunate enough to be infected, almost 15,000 will die from RSV each year. Because RSV is mostly a disease of young children, this means that grandparents should be very concerned about preventing infections that can all too easily be acquired from their young grandchildren. While children are much less likely to have fatal complications, 1.5 million doctor visits will result from RSV and almost 200,000 children will be hospitalized because of RSV in any given year. RSV is almost impossible to distinguish from dozens of other viral infections that cause cold-like symptoms, but unlike many other cold viruses, it has the potential to cause very severe disease, including pneumonia. 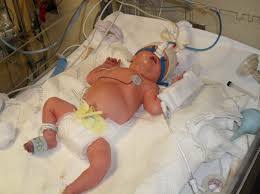 In very young children, wheezing may occur, but the absence of wheezing doesn’t rule out RSV. Only your child’s physician, with the help of very specific laboratory testing, can determine whether your child has RSV or not. Children with RSV who are hospitalized are frequently kept in isolation because RSV is spread very easily and can lead to outbreaks. Like many other respiratory viruses, RSV can be spread through direct contact with the respiratory droplets of those who are infected. Usually this direct contact occurs in families and among others who are in prolonged close contact with an infected child, such as can also occur in a daycare setting. Grandparents, or parents, can also acquire the infection through such simple acts as kissing an infected child. Older people should be very careful about close contact with ill grandchildren, and might even consider staying away completely, until illnesses resolve, to prevent the possibility of severe illness in themselves. Unfortunately, contact with respiratory droplets can also occur through contact with contaminated and shared surfaces in the home, daycare, schools, and even healthcare facilities. These surfaces can be practically anything, but often include doorknobs, furniture, glasses, dishes, or any other item which could be contaminated. Often people touch such objects and then put their unwashed hands or fingers on, in, or near their mouths, noses, or eyes, and this is enough for transmission to occur. This entry was posted in MRSA Home, Viruses and tagged babies, body fluids, children, cleaning wipes, day care, disinfectant wipes, droplets, grandchildren, grandparents, Hand Sanitizer, Hand Sanitizers, healthcare settings, household, influenza a virus, odor, pathogens, pregnancy, Residual Disinfectant, respiratory, scent, vaccine.